So .. everyone has heard about the benefits of meditation .. right? Everywhere it seems meditation is being touted as the next big thing .. (hahahaha .. insert giggly laughter) .. which is just so funny given meditation has been around for thousands of years, across the globe, and within nearly every different culture and tradition. But one of the most common things I hear from tentative enquiries about learning this life skill? .. “Oh, I tried that .. it was too hard and I was no good at it”. There seems to be way too much struggle around meditation. Often referred to as ‘mind training’, meditation is the cultivation of our ability to sit and stay seated and focused (physically and mentally) with gentle curiosity and kindness. And it is through regular practice we develop our ability to be still and quiet, despite the constant distractions and entertainments that the mind and body provide us with. I was recently asked for some secret (well not really secret!) 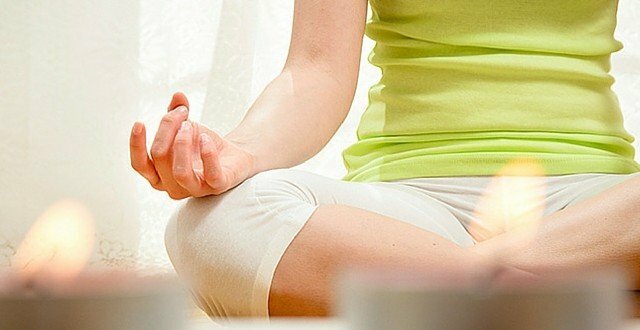 tips for those who struggle with establishing a regular meditation practice.. ROUTINE is the big secret. You would rarely go to bed at night without brushing your teeth .. equally you should build the same habit with your meditation. Step 1: Find a habit pattern and slot it in eg. Wake, Drink, Pee, Meditate, Shower, Start your day. Step 2: Commit to a few minutes every day and then when ready slowly build up with an extra minute a week (or month) until you can comfortably sit with 15-20 minutes – that’s just 1/100th of your day. Set a routine and stick to it. LISTEN TO YOUR HABITUAL PATTERNS people often say they don’t have time to meditate because they are way too busy (yep, the only ones!) But if I offered them a day pass to a luxurious spa – they’d find the time. Amazing right? And when life present you with a challenge you will quickly realize that the busy-ness was just an excuse. If it’s important enough to you, time magically seems to open up. Do you procrastinate in life? Do you put off the important things? often what we are faced with in our practice is what we find in our life. Want to change those patterns? BE KIND and forgiving when you slip up and forget to practice. Us humans are so judgmental and critical (of self and others). Meditation is a practice and you need a little perseverance, consistency and kindness when learning any new skill. If you were teaching a child to ride a bike for the first time .. you would be gentle, encouraging, positive, humorous and inspirational! Be kind to yourself and know that each moment – each breath – provides an opportunity to start again. So just start again! TRIGGERS can be the best way to remember to meditate, and remembering is often the first challenge we face. So find creative ways to remind yourself of your intention to practice – diarise a time between meetings, set up an alarm on your phone, start waking 5 minutes earlier each day, leave sticky notes at your bed or on your computer, or write it on your hand. Whatever works for you (and be creative). REWARD YOURSELF Once you are settled into a regular practice you will know for yourself the amazing benefits; but in the beginning it might take a little faith and trust – so maybe some positive reinforcement to make it encouraging and fun! Perhaps .. if you meditate each morning for a week you might book that massage on Sunday; or if you meditate after dinner each night this week then you will permit yourself a good sleep-in on Saturday. Go on, spoil yourself you deserve it. After a few weeks you might reflect on the broader rewards of your practice – feeling a little calmer, sleeping better at night, a greater sense of connection with the world around you, a funny little spring in your step each day, a warmer engagement with others, an opening of spirit. Always sit with a smile and gentle heart. After all this is your time to be with you.